“In 20 years of being on the Planning Committee for the Vale of White Horse, this is the best scheme I have seen.” Councillor Jerry Patterson. 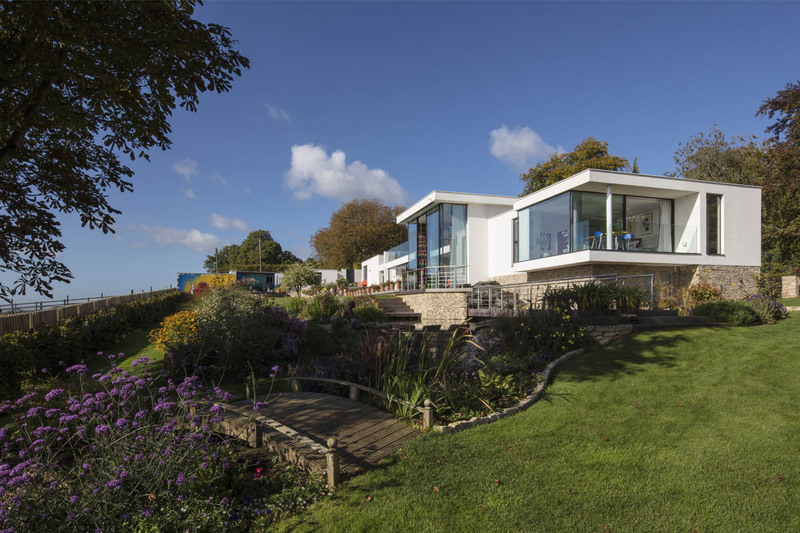 “I don’t usually like modern architecture, but this scheme is exceptional.” Bob Johnson – Member of the Vale of White Horse Planning Committee. 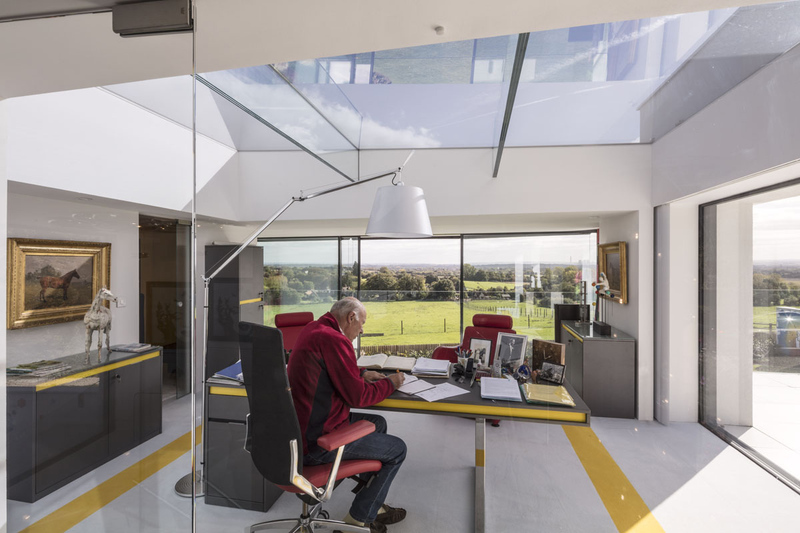 As well as undertaking pre-planning discussions with the local planning authority, Khoury Architects also consulted with local residents and conducted rigorous site analysis prior to planning application submission. This included analysis of scale, mass and materiality of the existing and neighbouring dwellings, as well as solar orientation studies and full topographical and drainage surveys. 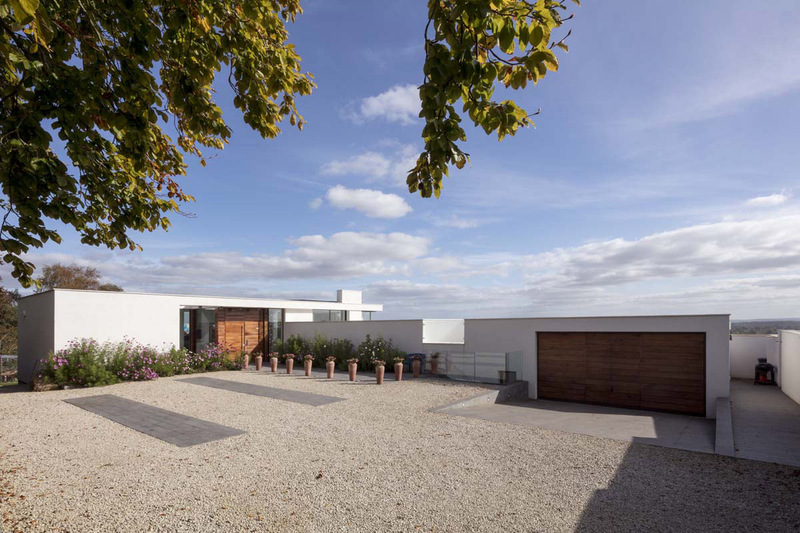 There was unanimous support for the scheme at a meeting of the Planning Committee in November 2013 where Khoury Architects delivered a joint presentation with the client. 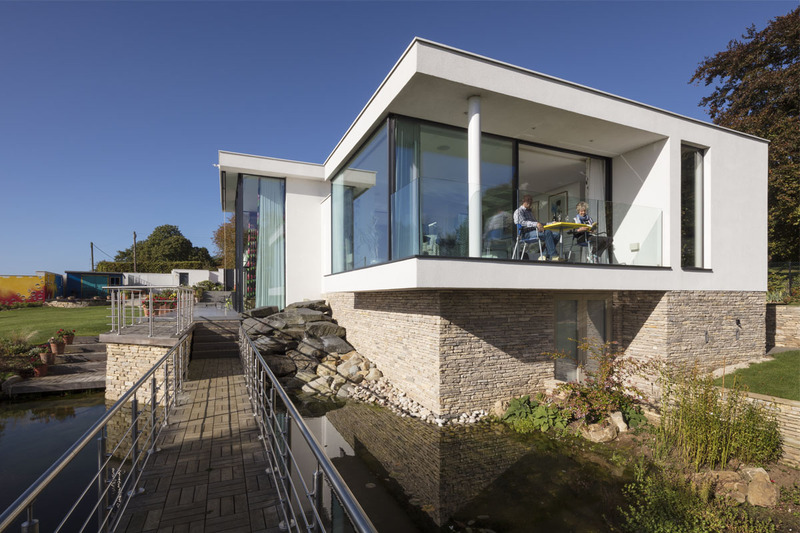 The scheme utilises the natural gradient of the site to create a double height lounge, terraces both on the roof and within the house, integrated courtyards and a cantilivered master bedroom suite. The living space is located at the intersection of the East to West accommodation wing with the North to South wing and is punctuated with a central hearth. 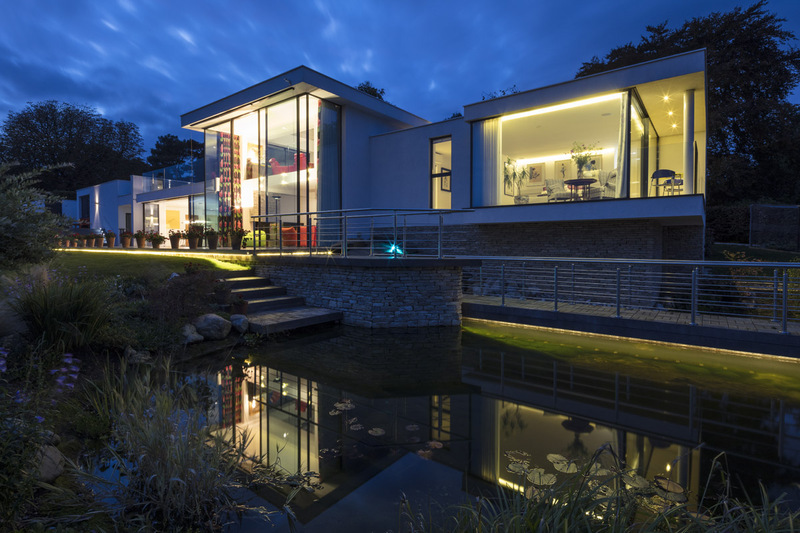 The building is arranged to maximise the views, address a private garden and open out into the landsacpe towards the South. The new house sits below the ridge line of the property it replaced with the driveway entrance level maintained. 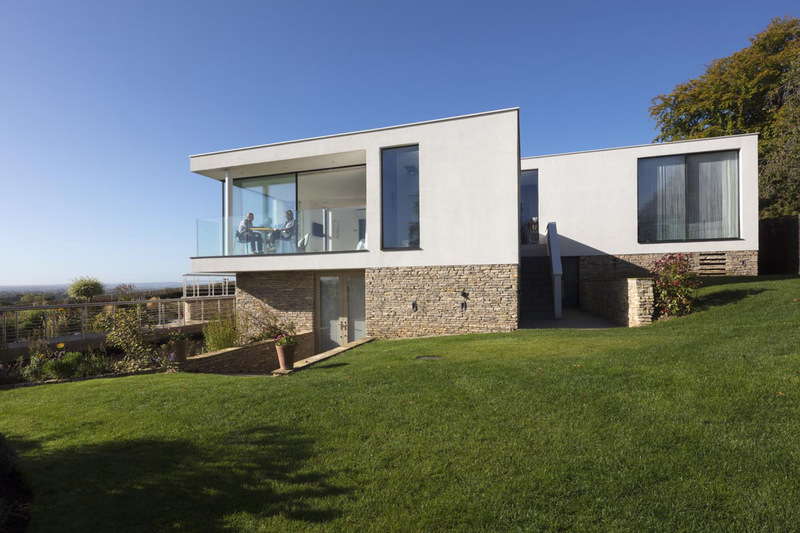 The dwelling is stepped across the site to sit well in the topography and maintain the views from and across the site. There is a seamless transition between inside and outside spaces through integration of courtyards and terraces both on the roof and within the house plan. 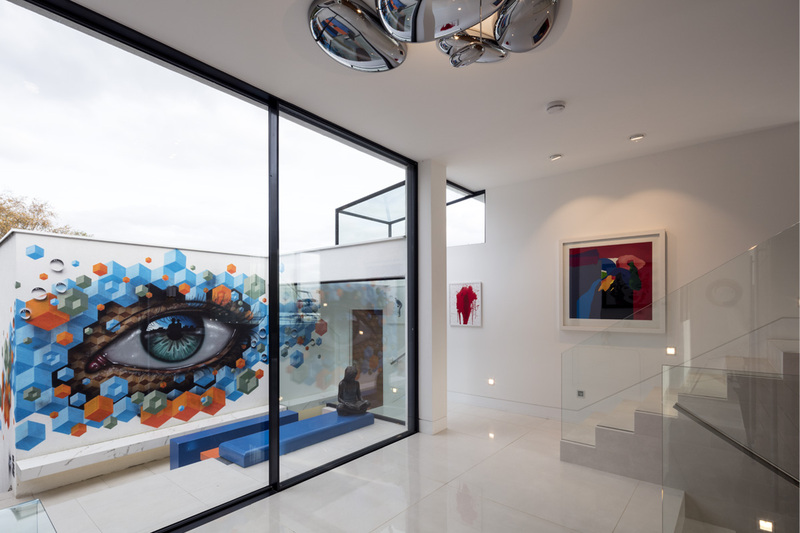 Khoury Architects’ love and knowledge of art ran parallel with the clients’ leading to the commissioning of an established urban artist to create artwork that again passed from inside to outside spaces and further minimised the definition between interior and exterior. 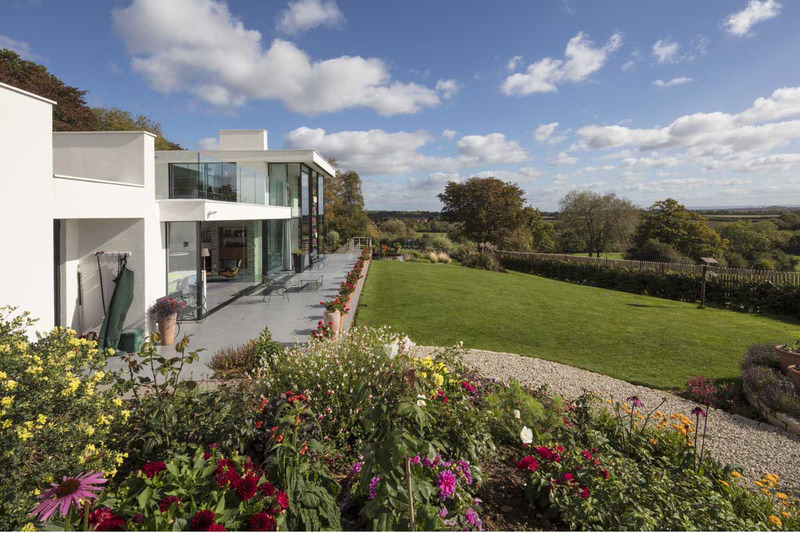 To maximise the impact of the fantastic open views, the majority of the South facing facades are fully glazed. Automated solar shading devices were designed into the building to overcome the associated solar gain. These elements were fully integrated to ensure they were not visible when retracted and any guiding structure was provided by 10mm cabling as opposed to heavy metal frames as is usual. The systems had not been used in this way before and Khoury Architects worked closely with the manufacturers to ensure design integrity. 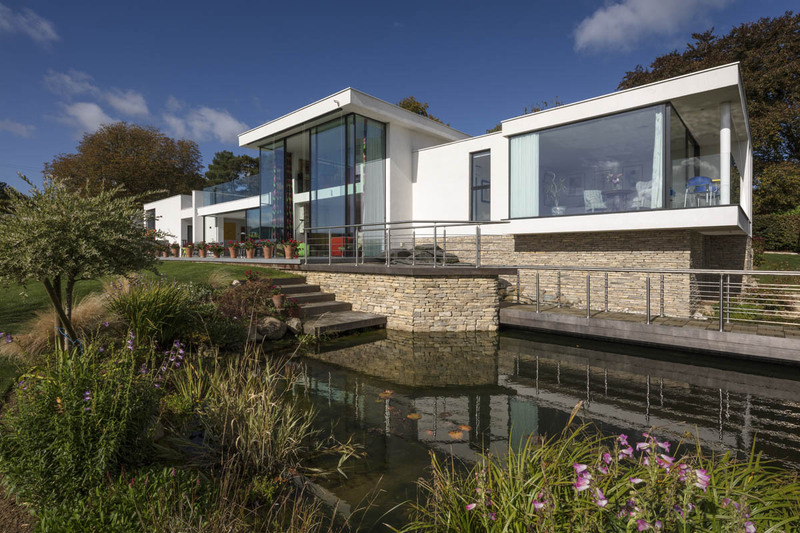 A similar approach was taken with the glazing system and resulted in the house exhibiting the largest single pane sliding glass door in the UK, standing almost 6m high and providing uninterrupted clear views of the countryside. Khoury Architects’ expertise in sustainable design was fully utilised and the specification of a highly insulated and air tight building envelope alongside appropriate renewable energy systems combines to provide a building of exemplary energy efficiency standard.